The FMCSA and Virginia Tech conducted a safety review to determine whether or not to go back to the 2013 version of the restart rules. Ultimately, they found that the 2013 version of the restart rule wasn’t any safer than the version of the rule that everyone is using now, so the current version of the rule is what's going to stay in place. 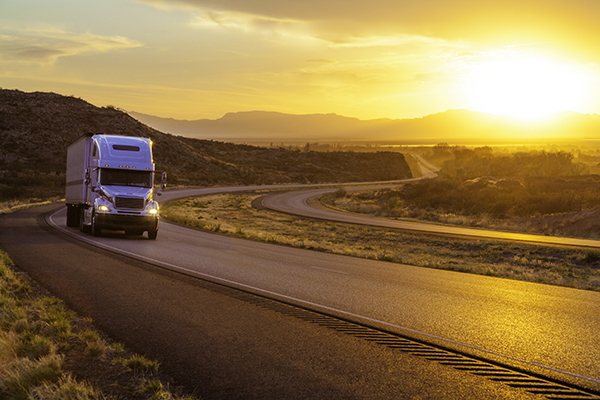 Got questions about trucking regulations? Ask our experts. Well we know that wouldn't stand long it interferes with big truckings bottom line' however the Elogs just hurts the little guy' that won't go anywhere just wait and see. Once they squash that ridiculous elog crap Trucking will be headed in the right direction again. I've used paper logs and I've used elogs. Many times the elogs we're inaccurate or the system just quit working forcing you to go back to paper logs. And my best opinion at 25 years in this business we need to go back to paper logs and keep it that way. AMEN!! Hoping it won't put all us little guys out of business I say get rid of them!! I'm still holding out something will kill the E log mandate before December. If not, they might just be one more truck short in this country moving goods to keep it running. I've jumped through EVERY "productivity reducing, profit robbing stupid, braindead regulation" they've come up with for 38 years! I'm NOT set for retirement financially, life has beat me up over the years, however, I have drawn my damn line in the sand on losing any more $$$ in this industry !! Why don't they spend more time studying how to improve health treatments and how to create better paying jobs. Elogs need to go too. It make me drive in hours that i like to sleep. I feel more tired then ever since i started with this bs. Elogs will kill more people then some twicks drivers did in their paper logs. I want to sleep when im tired not when my computer tells me to sleep. Trump maybe help us too. How do E-logs "hurt" the little guy? I don't get the obsession with the anti E-log crowd. If E-logs reduce the number of drivers available to haul loads, because of hours, doesn't that tighten the market and therefore make rates rise? It's economics 101. I'd rather make a fair wage from working an 11hr. drive shift, than bending over backwards to drive a 12,13 or 14 and fudging paper logs to accommodate some broker because he waited till the last minute to put the real money on the load. I'm also not interested in putting my business in jeopardy with the law...or worse yet, some bad driving 4-wheeler and his ambulance chasing attorney who will screw up my entire financial life when he finds out I pencil whipped paper logs. And they will find out! If you have to run illegal to make money...your looking in the wrong place to put blame...time to stand up to customers and brokers to make sure the "little guy" gets paid! U either don't know a thing about otr trucking or u don't drive like most of us. Elogs are ridgid ,paper logs r better .I don't want to over extend myself here but sounds to me ,u have a fixed lane. You obviously missed (or mis-read) the point to my post. Your reply says nothing to counter my post. As to "not knowing a thing about otr trucking"...reading your post leads me to believe effective communication is not your strong suit. Let me break it down for you. XYZ company needs a pile of rocks moved from point A to point B. They have to hire one or more people(drivers) to do it. If the group of candidates(thats drivers in this case) is a finite(that means limited) amount, due to government regulation, or whatever...I, as a driver, and business owner can look at the market( truck/load ratio) and figure out that XYZ is not in the position to tell me ( again, they need their rocks moved and there is limited supply of movers) what they wil pay me, rather I, tell them what I'm willing to be paid to move their rocks. Get it?